This Harley Quinn statue from the Cover Girls of the DC Universe line features Harley at her most playful and dangerous. Wielding her large mallet, she's ready for The Dark Knight or any of his crime-fighting partners to enter the Joker's lair. 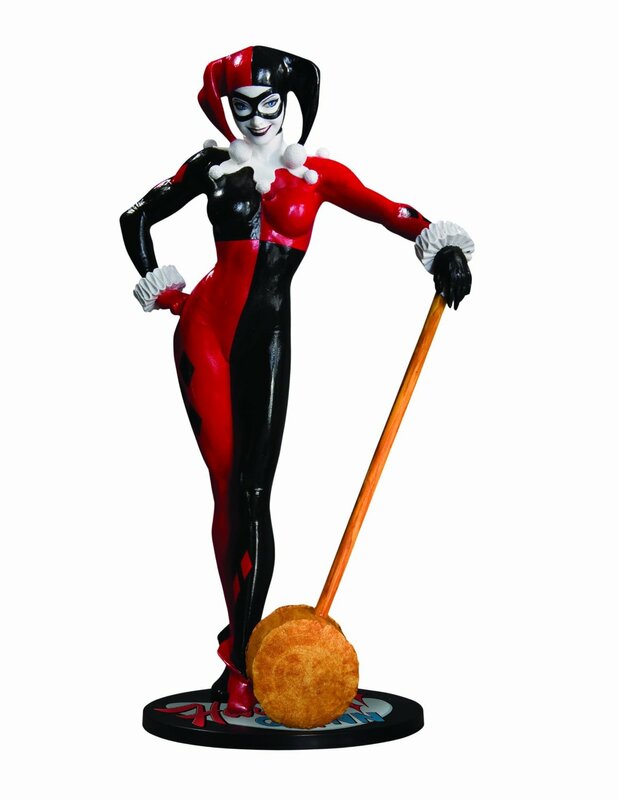 Designed by Adam Hughes and sculpted by Jack Mathews, this hand-painted cold cast porcelain statue stands approximately 9.5" H.
Add Harley Quinn to your collection of Cover Girls of the DC Universe today!